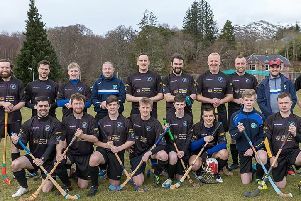 Stornoway Bridge Club was delighted to receive an invitation to the Ness Football Social Club at the beginning of May to compete for the Angus Morrison Shield. The evening was also an occasion to pay tribute to John Drummond (one of last year’s hosts) who sadly passed away in November after a short illness. It was a lovely evening and a close finish with Murdo Kennedy and Norah MacDonald coming in third, Liz Carmichael and Jimmy Ogilvie in second place and in first place were Sue Blair and Iris Stewart. The Bridge club also had members participating at the Oban Congress and the Overseas Congress (held in Corfu). Congratulations to Ken and Rita MacDonald who claimed the Oban Congress Pairs title and also the Congress Teams title with Duncan Ross and Andrew Ramsey. They continued their winning ways at the Overseas Congress with Rita coming third in the ladies pairs with Emily Garden, second in the teams playing with Ken and Russell Frame and Jim Wilcox and Ken came equal second playing with David Hammonds in the Mens and Mixed pairs. The prize-giving evening was held at the end of May and this year our hosts were The Woodlands Centre. What a great venue, super food and a really good turn-out. Thanks to Jane, Sophie and Craig for looking after us so well. Thanks too to Liz Carmichael for arranging the evening, we couldn’t have done it without you. Most of the Tuesday members were able to attend, together with Pat and Alice Read from the Thursday group and a few honoured guests who usually spend the Bridge season home alone while their partners are out at the Bridge Club! Thank you all for coming and making it such an enjoyable evening. The prizes were fairly evenly distributed but there were two pairs who had an exceptional year. The first half of the season was dominated by Dave Gormley and Ken MacDonald and the second half of the season belonged to Stewart and Norman MacDonald. This year saw the introduction of the ‘Player of the Season’ Trophy which was won by Norman, despite the valiant efforts of Dave and Derek MacKenzie. Several absent members also won trophies and congratulations go to Mike Norman, Janet Smith, Sylvia Taylor, Iris Stewart and Sue Blair. The wooden spoon was presented to Colin Scott (he’s been nagging me for years for this particular award) and it’s the only trophy the holder gets to keep!